A year ago, I was eagerly awaiting the release of my second book, Modern Style for Girls. A year ago, I was wrapping up my third book, Hack that Tote! Only a handful of people knew I was writing another book, each of them sworn to secrecy. I wanted my second book to have time to build an audience, without the distraction that comes with another book. So here I am, less than a month until my third book launches into the world, finally spilling the beans. Hack that Tote! is 104 pages, filled with some of my favorite projects and a wealth of information about fabrics, interfacings, hardware and so much more. At times, I felt like writing this book was a bit of a brain dump! The base project, the Basic Tote Bag, is one I’ve taught for years in my Sewing Basics class at Intown Quilters. Each of the hacks — the modified patterns for the additional 11 projects — shows you simple ways to transform the Basic Tote. But it doesn’t end there. I’ve included information about the process behind the hacks, with key information to help you further modify the patterns to really put your own twist on things. There’s tons of photos and illustrations to help, too. Posted in Books, Confession, Hack that Tote! Available now! 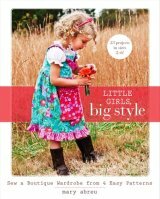 Pick it up at your local quilt shop, Amazon, Barnes & Noble, Books-a-million and other retailers! Based on a work at confessionsofacraftaddict.com.